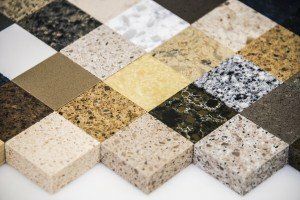 We fabricate our natural stone slab countertops from unique stones to provide a truly one-of-a-kind look. When properly sealed, these countertops are durable and easy to clean and maintain. Choose from our large selection of beautiful natural stone materials, including granite, limestone, marble, slate, travertine and more. Granite countertops are resilient and come in a stunning array of colors and styles that can add timeless charm to any kitchen or bath. Limestone countertops add warmth and sophistication with an organic variation that offers unique surfaces in various styles and colors. Marble countertops provide an elegant look and require little maintenance besides regular sealing to keep the surface stain- and scratch-resistant. Slate countertops are an attractive choice because they are naturally resistant to bacteria and moisture and impervious to heat and require almost no maintenance, including annual sealing. Travertine countertops offer a cost-effective natural stone material in a range of colors that are refined yet earthy with dramatic striations. Solid surface slab countertops are attractive, durable, safe, environmentally friendly and available in a wide range of design choices. They’re composition includes a mix of acrylic and polyester resins for an optimal, high-performance surface that’s non-porous, waterproof and safe for food preparation. Our stunning collection of porcelain and ceramic tile countertops offer a superior blend of form and function in a variety of colors, styles and customizable options. Plastic laminate countertops remain a popular, cost-effective choice for kitchens and bathrooms in a wide range of patterns, styles and colors that are highly resistant to staining. Our knowledgeable staff at Macadam Floor And Design can help you every step of the way, from guiding you through our diverse countertop inventory to executing a flawless installation. 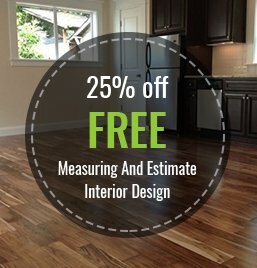 Visit our Portland, Oregon, showroom to consult with a member of our design team or fill out our online form for a free estimate today!